A pond in the middle of Castleton Gardens. WHEN QUEEN Isabella of Spain asked Christopher Columbus to describe the island of Jamaica, the famed explorer is said to have struggled to find words to do its beauty justice. In attempting to describe Jamaica’s terrain, Columbus is said to have resorted to fashioning hills and valleys out of table napkins as a way of explaining Jamaica’s varied terrain that includes numerous sandy beaches, rivers and mountain peaks. To Columbus, the island, although lacking in gold, was “otherwise a paradise and worth more than gold.” (Walker, 1992, p. 247). The island’s ecosystem embraces tropical, sub-tropical and temperate plants. Indeed, a large proportion of Jamaica’s flora and fauna can be found nowhere else in the world. Research has indicated that although the native vegetation of the island was almost all forest, with some marshland interspersed, today Jamaica has more than 3,000 different kinds of native flowering plants, of which 1,000 are endemic and over 200 of which are different species of orchids. For this reason, Jamaica is considered a horticultural par adise. Europeans have long been fascinated by these various flora and fauna. Even Columbus himself got carried away and misidentified a few species here and there. Most botanical gardens were established in the 19th century, although the Bath Botanical Garden was developed by the government as early as 1779. These gardens helped to encourage the introduction of plants from around the world. It also helped encourage the exportation of Jamaican plants to various locations including Britain’s famous Kew Gardens. The British Museum of Natural History was in fact founded with a collection of Jamaican plants (many of which were new to science) made by Sir Hans Sloane while he was in Jamaica in the late 1680s serving as physician to the governor. The Bath Botanical Gardens was the second botanical gardens to be developed in the western hemisphere (the oldest is on St. Vincent). Located in St. Thomas, this 1-hectare property was specifically put aside when the town of Bath was laid out. It was under the care of Dr. Thomas Clarke, a botanist who was also in charge of the Bath hospital. The garden was stocked with Chinese and Japanese herbs and exotic fruit trees, including the breadfruit, ackee and Otaheite apple brought by Capt. Bligh. The croton, jacaranda and bougainvillea were also fist planted at Bath. Frequent flooding in the 19th century by the Sulphur River wreaked havoc on the gardens and that along with the realization that the soil was not as nutrient rich as had been hoped caused its relocation to Castleton in 1862. Bath Gardens is still maintained for its historical value. Castleton Gardens in St. Mary lies on 10 hectares of land through which the Wag Water River runs. Located on both sides of the Junction main road, at one time these gardens boasted the best collection of plants on the island, including over 400 specimens from Kew Gardens. The Poinciana (1869) and Bombay mango (1869) tree were first planted at Castleton, as were the navel orange and tangerine (1870). St. Andrew’s Cinchona Gardens, located on 7 hectares of a 10-acre property more than 5,000 ft above sea level, were established in 1868. Named after the Cinchona plant brought to Jamaica from Peru by the Spanish, these gardens offer spectacular views of the Blue Mountain Ridge and parts of Kingston. Quinine, an extract of this plant, was used to treat malaria. The Spanish learned about this medicinal property by observing the Peruvian Indians and the plant came to be known as Jesuit’s Bark before being renamed for the Countess of Cinchona, the wife of the Spanish viceroy of Peru, who benefited from treatment. When Cinchona was first planted, it fetched a high price on the world market and a good return on the funds invested realized. However, due to poor roads, a lack of general transport in the area and labour costs, this project could not compete competitively on the world market. It eventually failed in 1899. A second section of the land was planted out in tea but Jamaica never could compete with tea from India. A third section, which is all that remains, was known as a ‘European Garden’ with the cinchona tree, mulberry, camphor, cork oak, juniper and rubber trees as well as garden flowers that thrive in northern climates. A postcard of Hope Gardens. Hope Gardens, or the Royal Botanical Gardens, Hope, were formerly part of major Richard Hope’s Estate. One of the English officers who helped capture Jamaica from the Spanish in 1655, Hope was granted a huge parcel of land as a reward. At one time Hope Estate extended from the sea to the hills in Newcastle. In the 17th and 18th centuries Hope was a sugar estate ­ one of the first where water (from the Hope River) was used to turn estate mills. The Hope Aqueduct (which can still be seen at Hope Gardens, Mona Heights and Mona Road) was built for that purpose. In 1766 Richard Elletson Hope arranged for Kingston to be supplied with water from his estate, but after his death, his wife remarried a British Duke and cancelled the water concession. Kingston lost its water supply. In the 1840s the duke’s son sold the city of Kingston 234 acres of the estate bordering on the Hope River. Kingston’s water was eventually drawn from this land as part of a publicly owned system. The 200 acres of Hope Estate land that eventually became Hope Gardens (and one of Jamaica’s few public parks) in the late 1870s-early 1880s includes a Palm Avenue where sago palms are among the oldest living trees, a cacti garden, a bougainvillea walk, a maze, a forest and lily pond. Other attractions include a zoo, a lake, a fountain, military band concerts and even a poet’s corner. There is also what remains of Coconut Park. 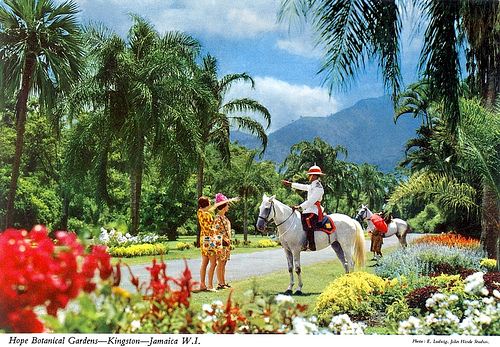 When Queen Elizabeth II came to Jamaica in 1953, the gardens were officially renamed the Royal Botanical Gardens. The Gardens have been undergoing repairs since 1996. These gardens, along with Fern Gully in St. Ann and Holland Bamboo Grove in St. Elizabeth, are maintained by the Ministry of Agriculture’s Public Gardens Division (927-1257). They are used regularly in photo shoots and to provide educational programmes designed to expose students to general gardening practice. 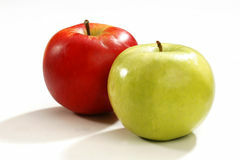 Crop management and botanical information can be obtained on request and some plants are also available for commercial sale. The Enchanted Gardens is located on a natural river gorge with 14 waterfalls on 8 hectares of land in Ocho Rios, St. Ann. 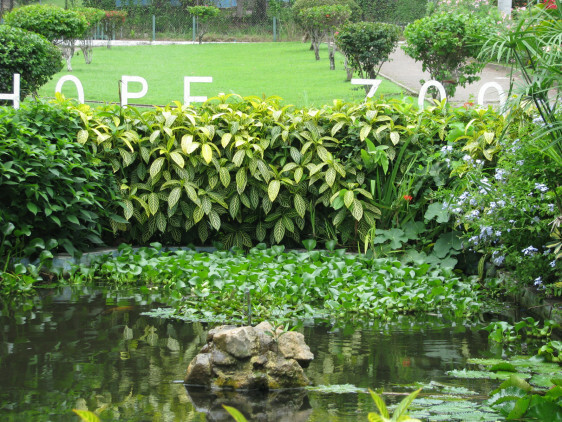 Offering a nature walk replete with a wide variety of palms, heliconias, anthuriums, lilies, ferns, hibiscus, orchids and bromeliads, it also includes an exotic aviary, scenic ponds and a sea-water aquarium. (974-1400). Coyaba River Garden and Museum in St. Ann. Located on 0.3 hectares, this garden boasts jade, ginger, traveller’s palm and a wide variety of orchids as well as a museum highlighting the Taino period of Jamaican history. (974-6235). Craighton House Estate in Laughlands, St. Ann. Named after its first owner, this coffee producing estate also has a wide variety of hibiscus, gardenia and bird of paradise. (944-8224). Shaw Park Gardens, located on a hilltop in St. Ann, it covers 10 hectares including a sparkling waterfall and lush tropical trees and flowers. (974-2552). Martin’s Hill Orchid Sanctuary in Kirkvine, Manchester. With 725 m of well laid out trails this reserve has at least 100 of the over 200 species of orchids found in Jamaica. (927-5957). Forres Park, located on a 24-hectare coffee plantation in Mavis Bank, Blue Mountains, is a bird watcher’s paradise. (927-5957). Hinton East Gardens in Gordon Town, Liguanea. This entry was posted in History and tagged CASTLETON GARDENS, Jamaica's Botantical Gardens, Worth more than gold: Jamaica's Botantical Gardens. Bookmark the permalink. My mother use to take us to hope gardens every week well dressed we would eat icecream take lots of pictures. My mother was a hottie in her short dresses and big platform shoes. Her skin was soft and brown very pretty skin. hope pastures is very beautiful better than devon house. Have u seen my childhood? I remember going to hope gardens with my big sister riding on merry go round, dumper trucks and that scary large wheel with small seats rising way up to the sky. I use to scream my head off! Mt tiny heart leaping every time. I hate such rides but my big WICKED sis insisted that We should go on it. She was laughing during the ride her eyes bulging with excitement while I was screaming and crying.